Palazzo suit is in vogue nowadays. Ladies in big urban cities as well as small towns love to wear this attire. 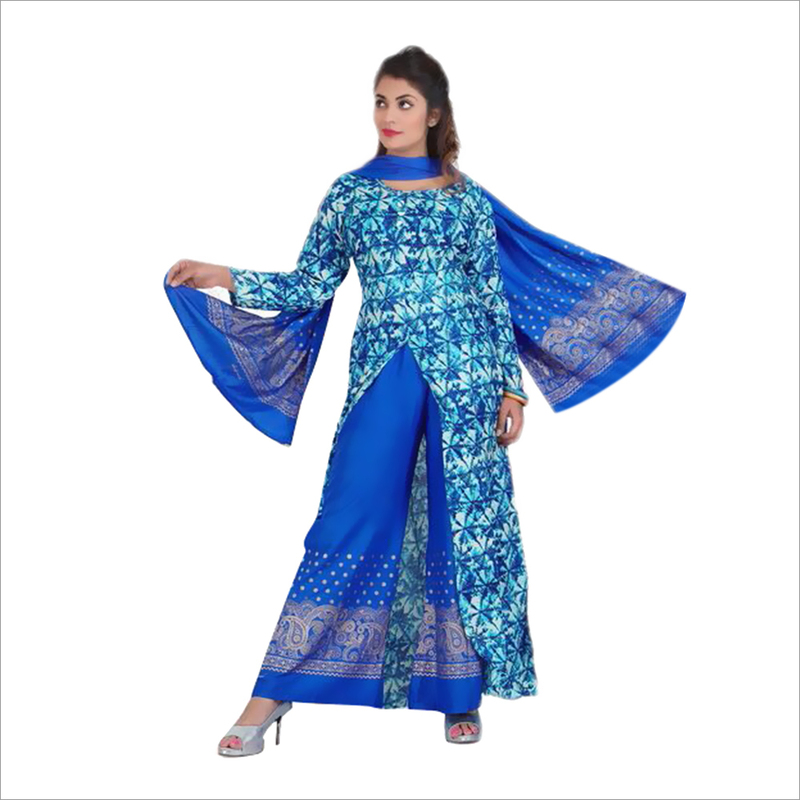 Upsurge in demand has led to creation of wider range of designs. 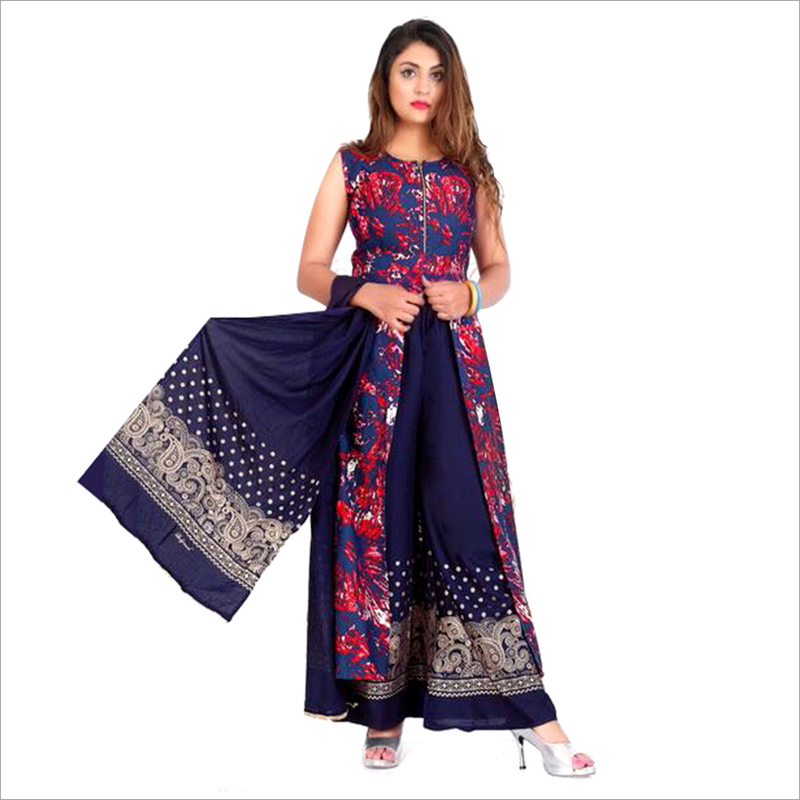 This Ladies Trendy Palazzo Suit is known for attractive colors, intricate designs, fine embellishments and excellent finish. 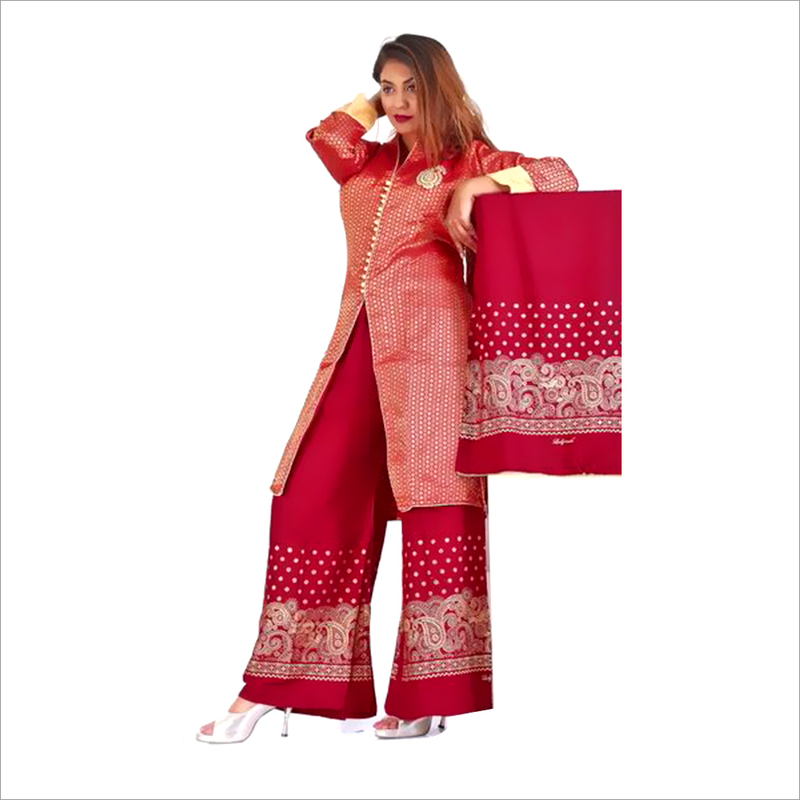 This three piece attire comprises a kurta, palazzo and dupatta. 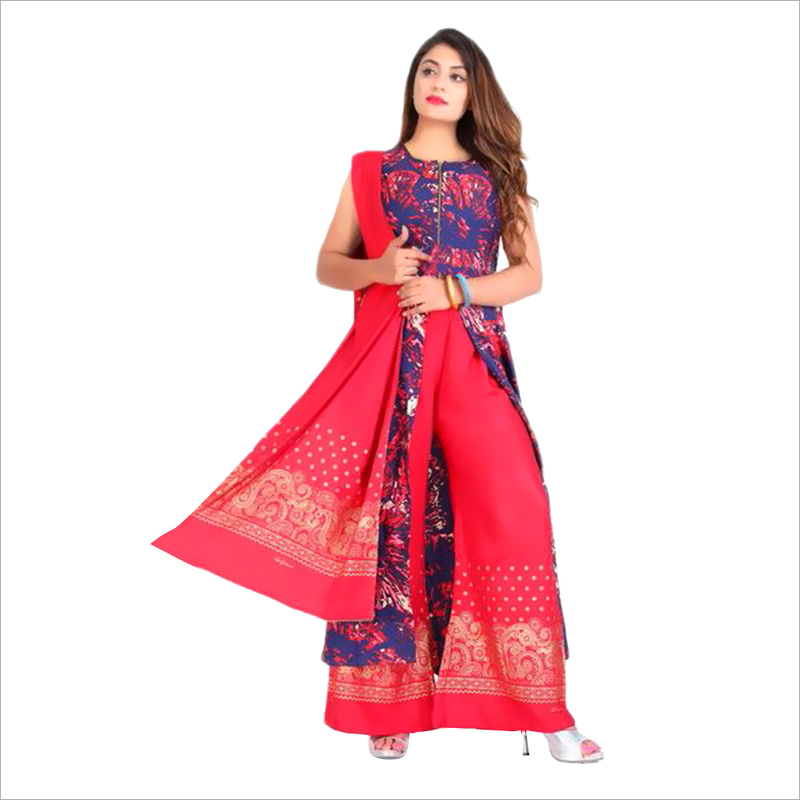 Anyone can buy this attire without even worrying about the body shape or size, as the kurti comes with proper margins for alterations.